Parking is available on New House Park, (please be mindful of neighbours and avoid blocking driveways). There is also free parking adjacent to the shops and Dulux Decorator Centre on the lay-by off New House Park. 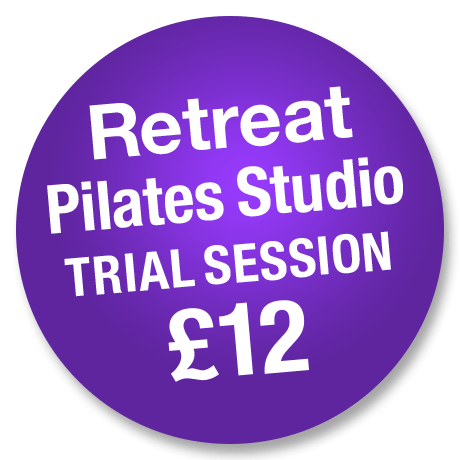 The Retreat Studio is well equipped and perfect for managing small equipment circuit groups, private and duet classes, as well as small mat groups. 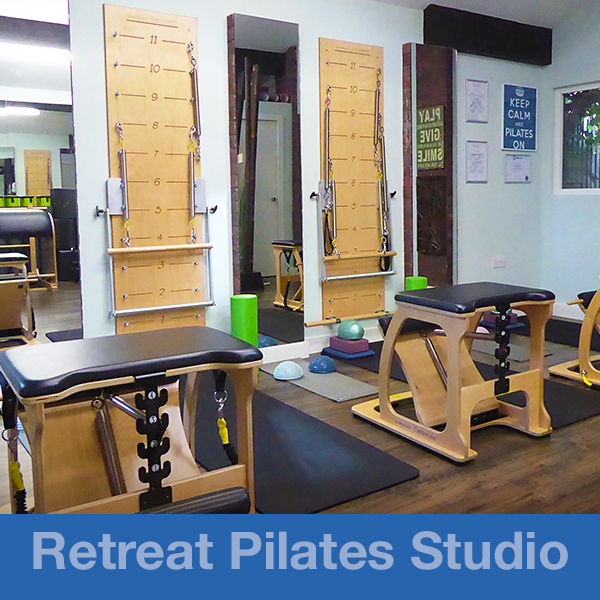 Undoubtedly the Reformer is the most popular piece of Pilates equipment. This machine can facilitate many Pilates exercises from the fundamental to the advanced, safely and effectively by offering assistance and resistance. The resistance of the springs helps individuals to increase their strength and flexibility. The close chain environment improves muscle imbalance and helps individuals to build their sense of proprioception. The Chair is another genius design by Joseph Pilates. There are hundreds of exercises for all parts of the body, and for every fitness level including athletic performance. Exercising in an upright position with a reduced base of support more closely simulates everyday movements. The Chair is highly beneficial as it aids individuals progression, using exercises that are physically more challenging than on any other Pilates machine. The Chair is also extremely useful for pregnant women, enabling them to do footwork in a sitting rather than a lying position. The Springboard with push-through bar (designed by Ellie Herman) is economical, safe and effective. It offers assistance and feedback through the application of resistance springs. The Springboard can facilitate many exercises from the original Cadillac series. The Springboard is probably the most versatile of all the traditional pieces of Pilates studio equipment, fully adjustable to suit the individuals needs, exercises can be performed standing, seated, and lying down. ​With its curvy shape providing comfortable support for different body types, the Pilates Arc can be used on its own or with other studio equipment including the Reformer, to add yet another dimension to your Pilates routine. The MOTR (More Than a Roller) has three weight level resistances, to challenge your balance and your core. Tone, lengthen and strengthen your whole body with this challenging and incredibly diverse workout tool, it's perfect for 'top to bottom' workouts. Exercises performed on the Ladder Barrel challenge the core muscles, strengthen the spinal cord and can improve your range of movement whilst developing spinal flexibility. ​From stretching to core strengthening to rehabilitation, the Oov offers many benefits. Made from highly durable foam, the Oov's design complements the spines' natural curves.